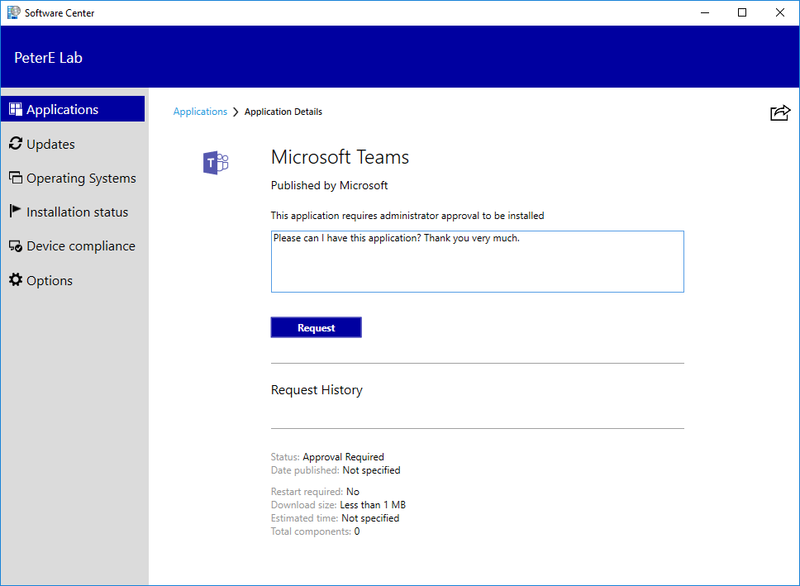 Note the application request now contains the device name from where the application request was made. 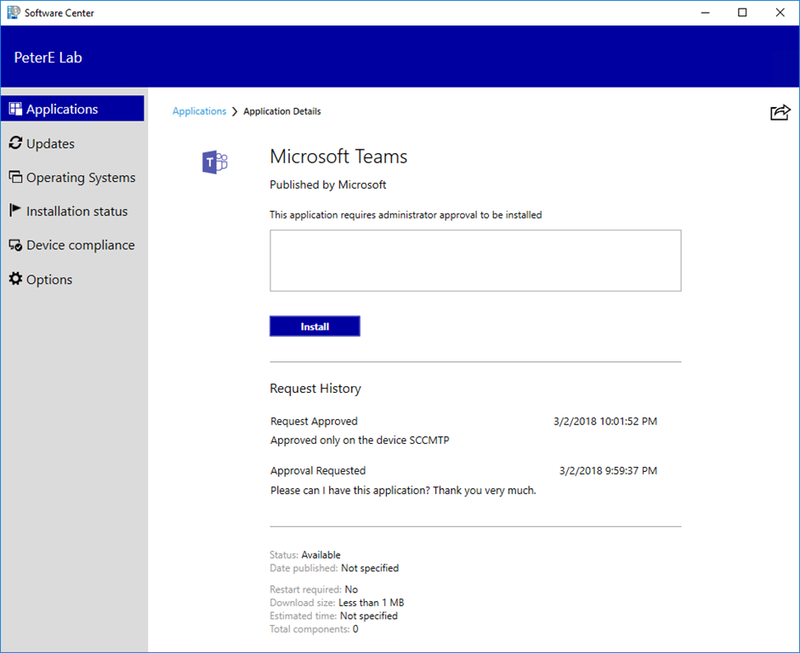 The administrator can approve (or decline) that request and the application is only approved for installation on that device alone. If the user wants to then install this application on another device they must request it again as a new application. The user can then install that application by re-visiting Software Center as usual. This is a nice little addition to the approval process, it gives me some hope that we might see further development in this area. 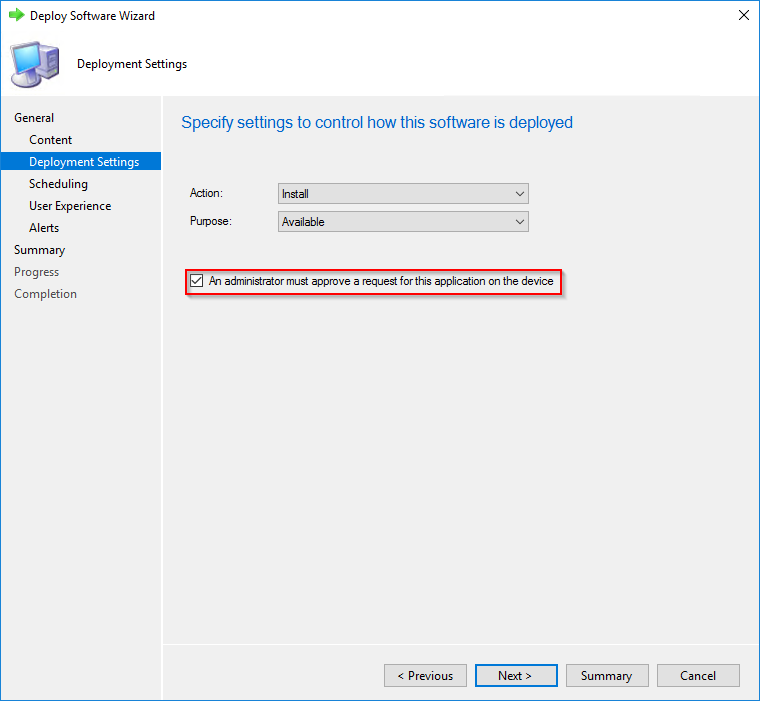 Configuration Manager Technical Preview 1802–What’s new? software cannot be loaded. 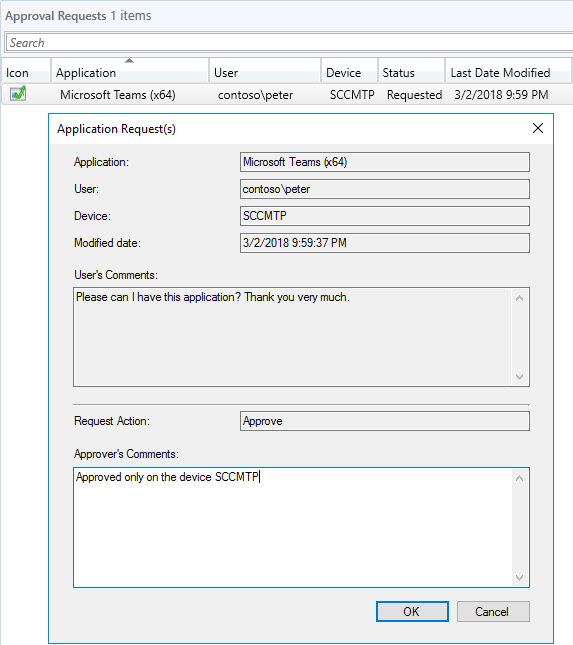 there is a problem loading the required components for Software Center. You can try launching Software Center at a later time. IF the problem continues, you can contact your helpdesk. other application that are made as available are working just fine. What about the older approved requests? Those users can still install on any PC? How do I remove those requests…..